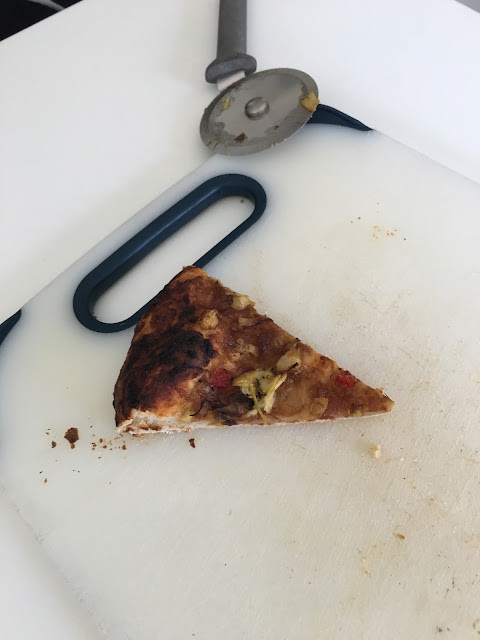 This picture is of my Dad's vegan pizza. My dad is vegan which is kind of weird to me but I think it's kinda cool. He's doing it to lose weight, and said that this pizza was delicious.